For less than $100, enjoy 20 pre-loaded classic PlayStation titles on this miniaturized console. If you've been hoping for a PlayStation throwback, Sony has finally heeded your call. 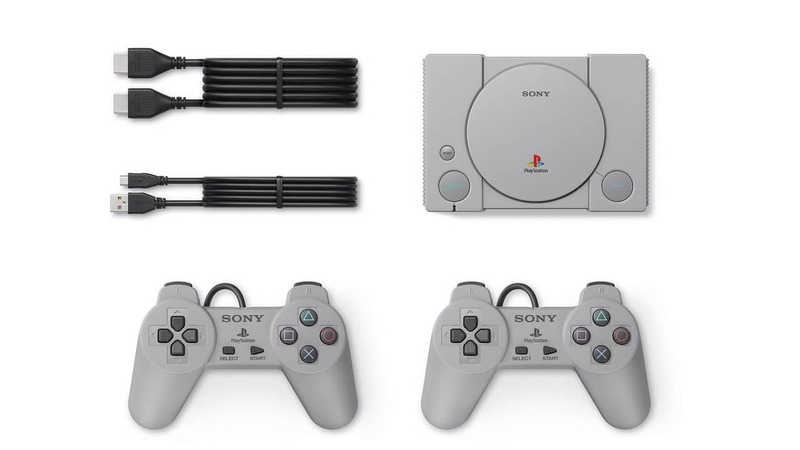 Come December 3rd, Sony is launching the PlayStation Classic, a new mini-console in the design of the original PlayStation. It comes pre-loaded with 20 legendary titles, ranging from Final Fantasy VII to Ridge Racer Type 4. The new (old) console will come with an HMDI cable, USB cable, and two controllers set up for local multiplayer. The system doesn't appear to come with an AC adapter, so you'll have to snag one before Dec. 3rd if your TV doesn't have USB ports. The PlayStation Classic will also not run discs — the disc tray is purely for decorative purposes. Although the $99.99 price tag looks to be set for the moment, keep an eye out for retailers potentially lowering prices as December (and the holiday season) draws closer. There may be tastier deals just on the horizon. As for the present? Browse the Slickdeals Sony Store Page for more offers and promos.